Mix all ingredients in a blender (add water little by little until creamy). Mix the raspberries, coconut cream, coconut oil and agave syrup in a blender, then stir in the chia seeds with a spoon. Mix granola ingredients and spread them out in a flat baking pan. Toast in the oven at 175 degrees until caramelized (approx. 15 mins). Leave to cool. 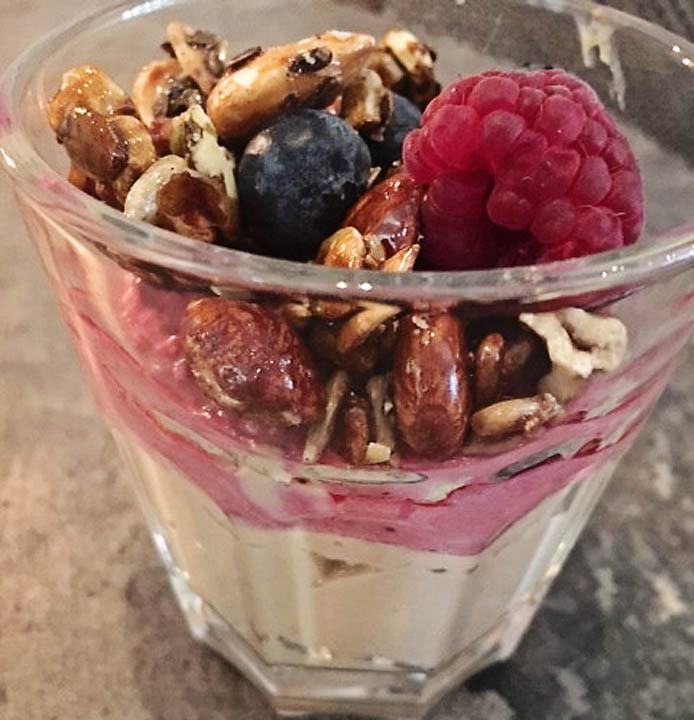 Layer the cashew yoghurt, raspberry cream and granola in a tall glass or bowl and top with fresh blueberries and raspberries. Enjoy as breakfast, snack or dessert - yum!